St. Patrick’s Day is right around the corner and there’s already a few things happening around the city. 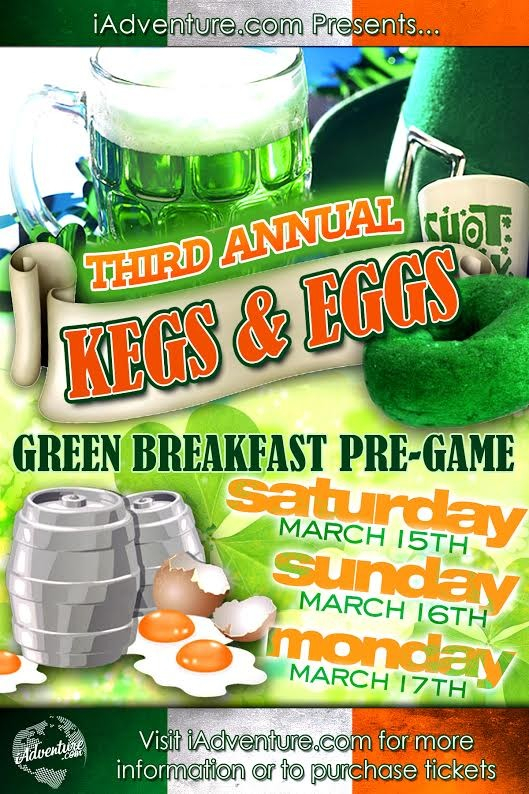 This weekend through Monday, SideBAR at 120 E. 15th St is throwing their 3rd Annual Kegs & Eggs “Green Breakfast” bash. There’s going to be lots of green… green beer, green eggs, green bagels, green pancakes, and Lucky Charms! Tickets are available for purchase here and includes access to the green breakfast buffet and a 3 hour Green Budlight open bar. The party times are as follows: Saturday March 15, 9AM – 12PM; Sunday March 16, 12PM – 3PM; and Monday March 17, 9AM – 12PM. 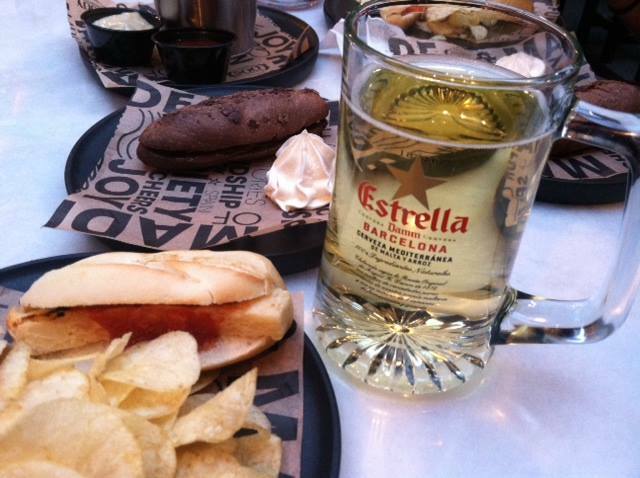 On Monday March 17th, 100 Montaditos, located at 176 Bleecker St, will be offering a Buy-One-Get-One special on Estrella beers, from 12-5pm. To pair with those Estrellas, it’s also a great time to check out their recently launched menu offerings. The new items include Paella, Tortilla Española, Croquettas, Chistorra and Fried Calamares.